We’re proud to announce our newest device, The PAL198X. 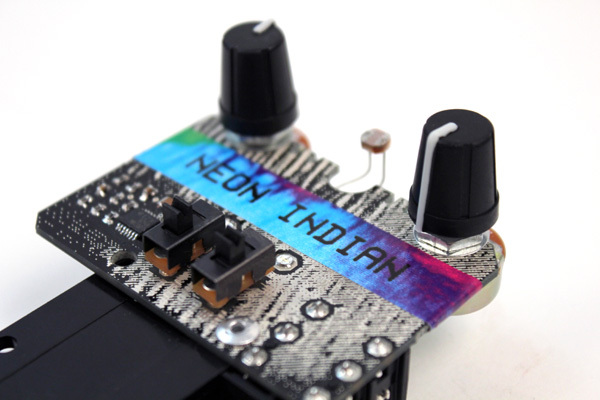 This limited edition mini analog synthesizer is based on the Pico Paso with a few modifications designed by Dr. Bleep and Alan Palomo of Neon Indian. The biggest addition are swappable controls which allow you to easily attach the included potentiometers or photocells (or a number of other devices we’ll post about later) in any configuration to the three oscillators to create all kinds of triangle wave chaos. – Two triangle wave oscillators which can be activated independently or together, modulating each other. – Square LFO which affects the amplitude of both triangle oscillators. – Screw terminals allow any resistive device to control the pitch of the three oscillators. 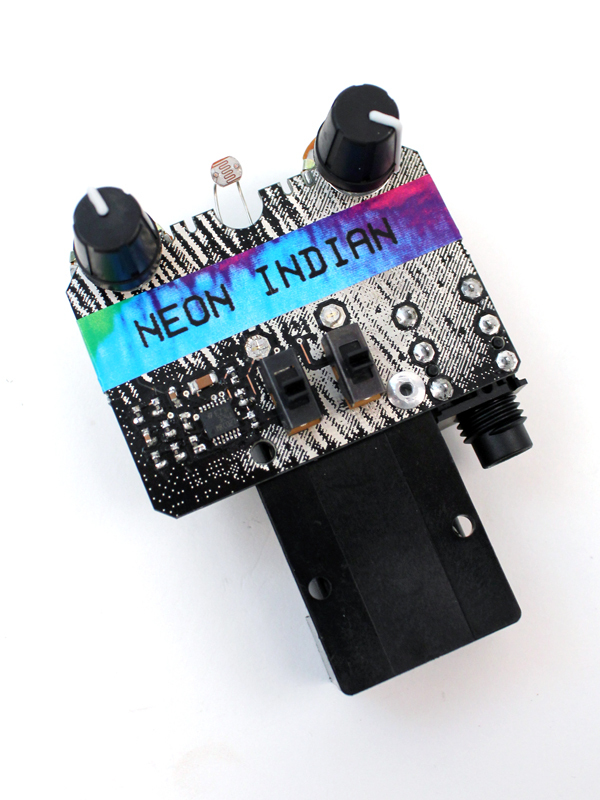 Only available in the limited edition Era Extraña package from Neon Indian. Stay tuned for mods and hacking info….